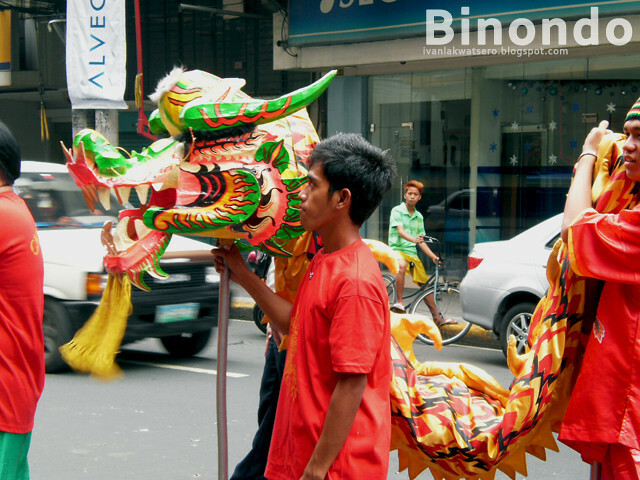 If you want to experience China in the Philippines, then Binondo is the place to be. With the Chinese establishments (restos, chinese remedies, red stores) that line this old district's streets plus its significant number of Chinese and Filipino-Chinese population, Binondo is indeed the "Chinatown of Manila". 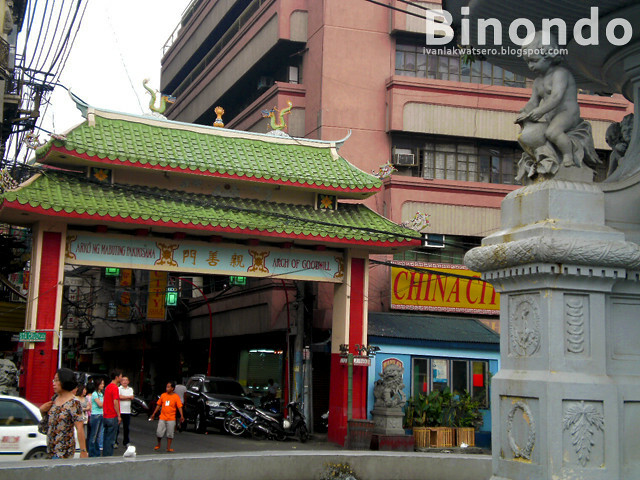 • Binondo is the world's "Oldest China Town". • Binondo is the home of Tomas Pinpin, the first Filipino printer. • Binondo is one of the most mentioned places in Rizal's "Noli Me Tangere" and "El Filibusterismo"
• Binondo is also the home of Roman Ongpin, a Chinese businessman who helped the revolucionarios through financial support in the Philippine Revolution and Filipino-American War. 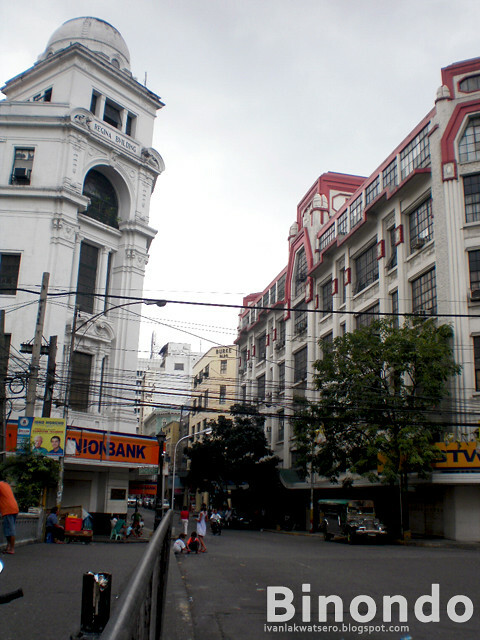 • Binondo, in Escolta street, is the country's center of commerce before Makati. 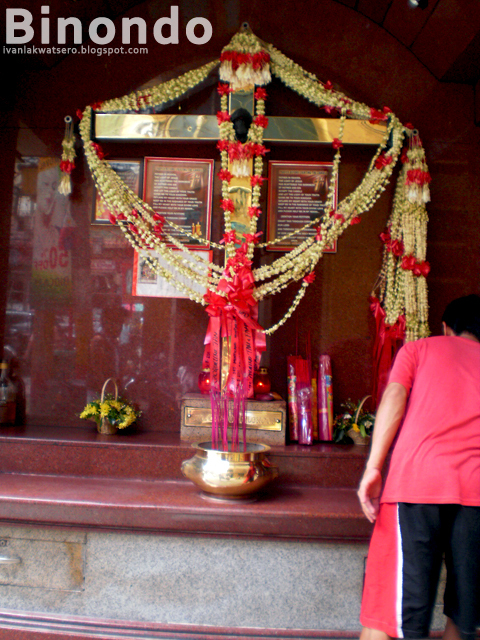 • Binondo is the home of our first Filipino saint, San Lorenzo Ruiz. 1.) The Arch of Goodwill - an arch that symbolizes the Filipino and Chinese goodwill. 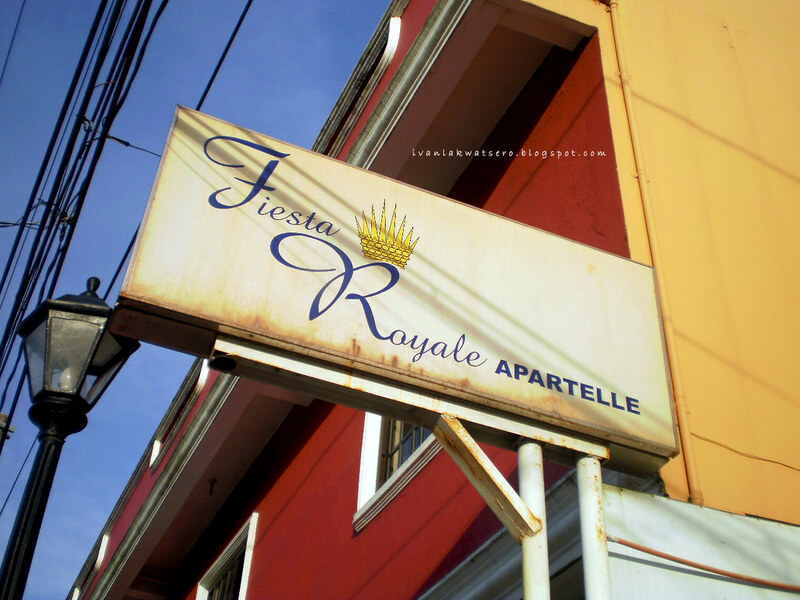 Located at Ongpin street and Plaza Sta. Cruz, this arch is one of the famous landmarks in Chinatown. 2.) Calle Escolta - the old Central Business District. 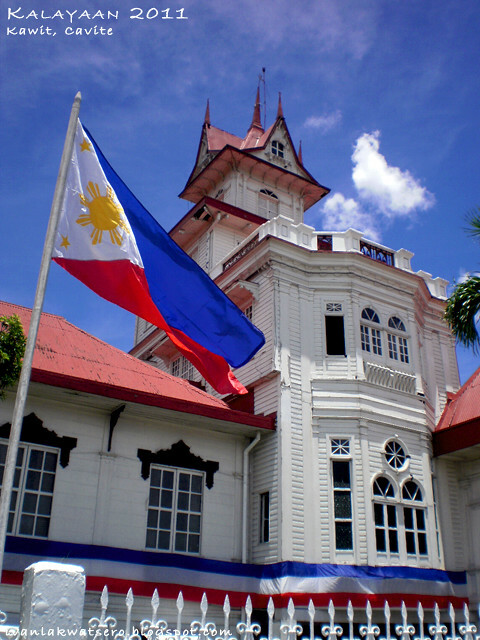 Impressively designed buildings still stand along the old street, the Regina bldg, the Burke bldg, and Perez-Samanillo Bldg. 3.) Mixed Cultures - Binondo is home to lots of Filipino-Chinese, Chinese, Filipino-Spanish, Filipino cultures. 4.) Plaza San Lorenzo Ruiz - formerly Plaza Calderon dela Barca, is now named after the first Filipino saint, San Lorenzo Ruiz. There stands the dramatic statue of St. Lorenzo Ruiz, some Chinese monuments, and two functioning fountains. 5.) 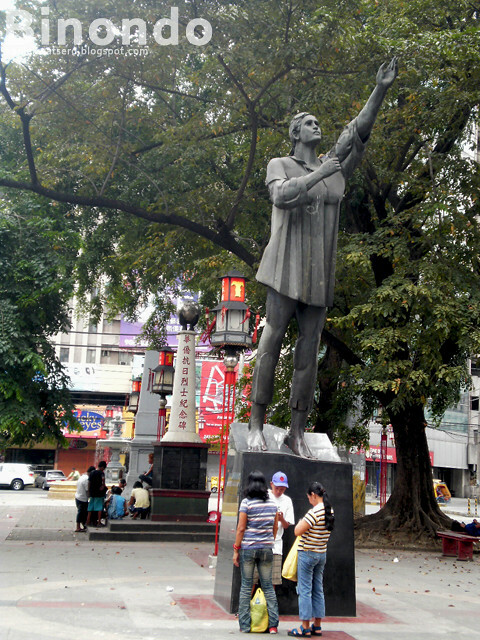 Roman Ongpin Monument - A monument that stands at the end of the Ongpin Street. 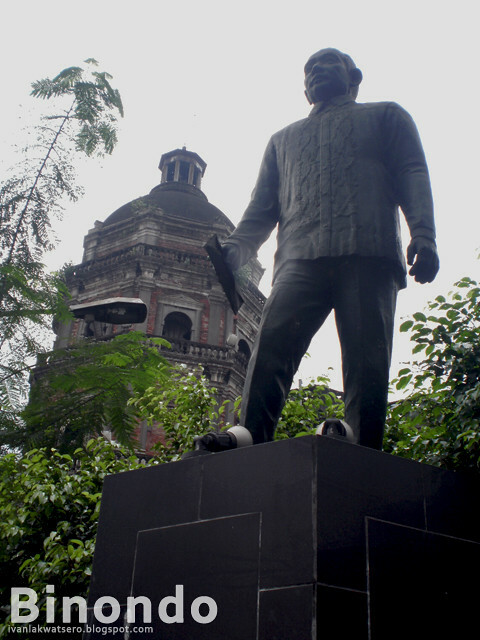 Don Roman Ongpin is a Chinese merchant who helped the revolutionary people against the Spaniards and Americans. He has a hardware store called “El 82” (“el ochenta y dos”). 6.) 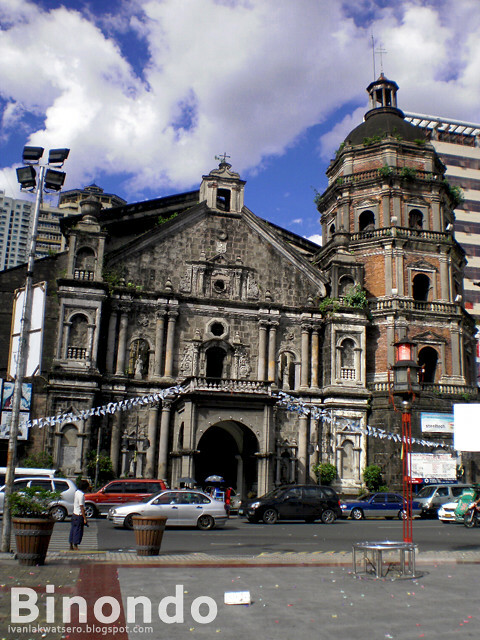 Binondo Church - Built by the Dominican friars in 1587, was destroyed by the British occupation in 1762 but was rebuilt with the help Chinese businessmen. During the WW2, it was again destroyed. From 1948 to 1971, it was reconstructed. It is now known as Minor Basilica de San Lorenzo Ruiz in honor to our first Filipino saint who served here. 7.) Jones Bridge - formerly known as Puente de España, it is the very first bridge built by the Spaniards. 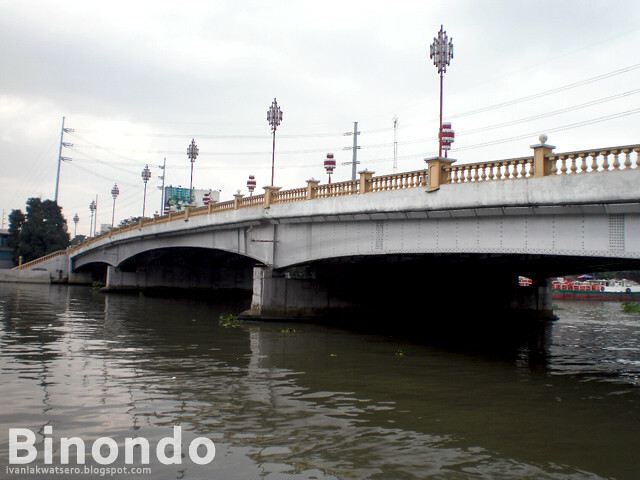 It is the second bridge from the west that crosses the Pasig river. 8.) Santo Cristo de Longos Shrine - another landmark in Binondo is this shrine. Located at the corner of Ongpin Street and San Nicolas Street, it is an evidence of Filipino-Chinese blend of cultures. It is a Christian cross surrounded by Buddhist incense sticks and Filipino sampaguita garlands. 9.) Lots of Circles - it is believed that any rounded objects can bring good fortune. 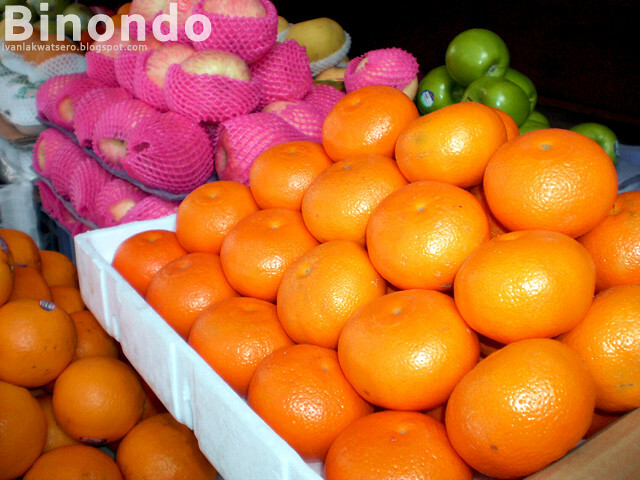 Circle fruits, circle mirrors, circle lanterns, they're all in Binondo's street markets. 10.) Chinese Food Trip - Side by side, back to back, Binondo will never run out of restaurants. From Chinese sweets, dimsum, noodles, to exotic foods like pigeons, frogs and bull's testicles. By just walking along the old streets of Binondo and looking beyond the names and structures out there, you'll realize that Manila's "China Town" is more than a "China Town"
I have visited Binondo a number of times, but I have never blogged about it. Reminds me to do one. 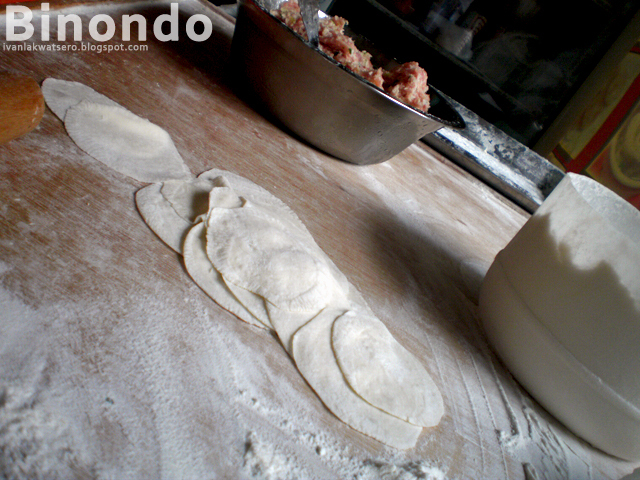 I have been to Binondo a number of times but I have not blogged about it yet...Hmmm....reminds me to make one soon!